SmartCast Technology makes it possible for Cree lighting to affect your physical world in more ways than one. Cree is a market-leading innovator of lighting-class LEDs, LED lighting, and semiconductor solutions for wireless and power applications. At Belk, It's more than shopping. This is where you find your own unique way to express who you are. And you do it with style. This is where southern style lives. This is where southern hospitality meets a new southern sensibility. Sealed Air is a knowledge-based company focused on packaging solutions that help their customers achieve their goals. Their portfolio of widely recognized brands, including Cryovac brand food packaging solutions and Bubble Wrap brand cushioning, enable a safer and less wasteful food supply chain and protect valuable goods shipped around the world. Heritage Home Group is a world leader in designing, manufacturing, sourcing and retailing home furnishings. They market their products through a wide range of channels, including their own Thomasville retail stores and through interior designers, multi-line/independent retailers and mass merchant stores. Their portfolio includes some of the best known and most respected brands in the furniture industry. DAK Americas LLC manufactures and supplies polyethylene terephthalate resins (PET), polyesters staple fibers (PSF), monomers/ingredients (TPA/PTA), and specialty polymers for customers in the United States and internationally. The company s specialty polymers include low crystallinity, high melt viscosity, cationic dyeable, high/low Tg, and customized polymers, which are used in fibers, film and packaging, engineered polyester, monofilaments, and nonwoven markets. It also distributes textile and industrial filaments and fiber grade polymers in the United States, Canada, and Europe. The company was founded in 2001 and is headquartered in Charlotte, North Carolina with sales and corporate offices in Monterrey and Mexico City, Mexico; Wilmington, North Carolina; Chadds Ford, Pennsylvania; and Buenos Aires, Argentina. It has manufacturing locations in Charleston and Columbia, South Carolina; Wilmington and Fayetteville, North Carolina; Bay St. Louis, Mississippi; Cosoleacaque, Mexico; and Zarate and Pacheco, Argentina. DAK Americas LLC operates as a subsidiary of Grupo Petrotemex, S.A. de C.V.
Charles & Colvard is the original creator of moissanite - the world's most brilliant gem. Shop our new Forever One moissanite jewelry collections, engagement rings and more today! For over 30 years, The Fresh Market has been committed to supporting local growers and charities and offering consumers with the freshest and most delicious foods possible. The company works directly with 100 growers throughout the year and carries many local and regional produce items that are not only safe and healthy but also easy on the pocket. This environment-friendly company is the recipient of various recognitions such as 2013 Best Bulk Foods Retailer and 2013 JDRF Director's Award. A layout example that shows off a responsive photo gallery. With four decades of innovation and quality, Culp supplies a wide range of mattress and upholstery fabrics across the globe. 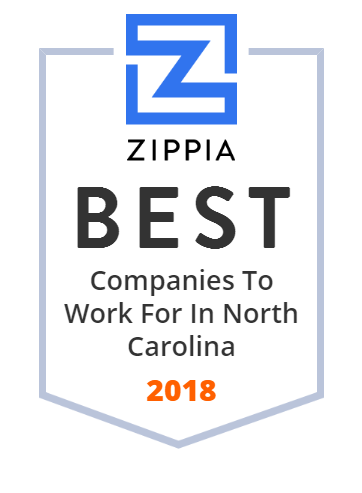 From their headquarters in High Point, NC, they carefully manage a fully integrated platform of manufacturing and distribution facilities strategically located in the US , China, and Canada. Alex Lee, Inc., through its subsidiaries, operates as a food retail and distribution company. It owns and operates a chain of supermarkets in North Carolina, South Carolina, and Virginia. The company also supplies food and non-food items to retail food stores in North Carolina, South Carolina, Virginia, Georgia, Tennessee, Alabama, West Virginia, Ohio, Florida, Pennsylvania, and Kentucky. The company was founded in 1930 and is based in Hickory, North Carolina. Quality food service packaging starts with Genpak. We offer food service containers and dinnerware for almost any application. Disposable food containers, hinged containers, recyclable eco friendly products, deli containers and much more. They are a company of cyclists dedicated to helping more people enjoy the benefits of riding a bike. At Performance, they believe they can improve lives and contribute to a better world through cycling. On a national, regional and local level their company is participating in cycling advocacy and education, providing expert mechanical support at cycling events. Speedway Motorsports, Inc. (SMI) is an American corporation that owns and manages racing facilities that host NASCAR, IndyCar Series, NHRA, World of Outlaws and other motor racing series. The company's headquarters are located at Charlotte Motor Speedway, in the suburbs of Charlotte, NC. SMI owns nine racing facilities with a combined seating capacity of approximately 885,000. In addition to operating racetracks, SMI owns Performance Racing Network (PRN), U.S. Legends Cars International, and co-owns Motorsports Authentics. Portraits - Portrait Innovations has reinvented the studio photography experience. Let our professionals create beautiful portraits for your family. Make an appointment today! Earth Fare is an American health and wellness supermarket with 46 locations in 10 states throughout the southeast and Midwest United States. University Ford is your source for new Fords and used cars in Durham, NC. Browse our full inventory online and then come down for a test drive. Sport Socks Manufacturer in Conover NC. Dealers are welcome and wholesale and dropshipping is available for approved dealers. Food Lion LLC is a grocery store company headquartered in Salisbury, North Carolina, that operates more than 1,100 supermarkets in 10 states of the Southeastern United States under the Food Lion banner. With about 63,000 employees, Food Lion, LLC. is currently owned by Ahold Delhaize after it was acquired by the Delhaize Group in 1974. One of the founders was philanthropist Ralph Ketner. As one of the top Durham hotels on Duke University, the Washington Duke Inn welcomes guests to a tranquil retreat nestled on 300 acres of tall pines. Hendrick Chevrolet Monroe serves Charlotte area drivers with new and used cars, trucks, and SUVs. Visit Brentwood Flooring America for the best carpets, rugs, hardwoods, laminates, ceramic tile and vinyl flooring in all of Raleigh! Kayser-Roth Corporation (a subsidiary of Golden Lady) is an intimate apparel and hosiery manufacturer based in Greensboro, North Carolina. The company currently markets two brands in North America, No Nonsense and HUE. Roses Stores is a regional discount store in the United States with its headquarters in Henderson, North Carolina. Serving satisfaction in the Triad for more than 60 years, we design customized food service solutions around your specific needs. Manual Woodworkers & Weavers, Inc. manufactures and markets home furnishing products. The company offers aprons, bags, totes, handbags, notes, home d cor items, canvas, pervades, tapestry, and wall hangings. It sells its products through sales representatives and distributors in the United States, Australia, Austria, Canada, New Zealand, Germany, and South Africa, as well as offers its products online. The company was founded in 1932 and is based in Hendersonville, North Carolina. FoodLogiQ provides integrated data solutions that enables safety, reinforces quality, and lays the groundwork to unlock consumer value in new and innovative ways. Cut the time it takes you to manage your suppliers in half and gain full visibility into the safety and quality issues across your supply chain. Legacy Paddlesports is: Liquid Logic Kayaks, Native Watercraft, Heritage Kayaks and Water Trail Paddling Gear. Chip Ganassi has been a fixture in the auto racing industry for over 30 years and is considered one of the most successful as well as innovative owners the sport has anywhere in the world. Today his teams include two cars in the Verizon IndyCar Series, two cars in the Monster Energy NASCAR Cup Series. The Renfro Corporation is built on much more than socks. It's built on trusted relationships with our retailers. It's built on a family of brands that match consumer lifestyles around the world. Lexington Home Brands is a global leader in the design, sourcing, manufacturing and lifestyle marketing of upscale home furnishings. The Company's award-winning product line of wood, upholstery and outdoor living designs encompass the industry's most diverse range of styling, featuring recognized consumer brands like Lexington, Tommy Bahama Home, and more. Ocean Ridge Plantation is North Carolina's exclusive golf and beach community. Specializing in luxurious Sunset Beach NC real estate, Ocean Ridge is your top choice for real estate on the North Carolina Coast. The world's leading authentic grassroots #soccer, #lacrosse and #rugby company. Our websites include @soccerdotcom, @lacrossedotcom, @worldrugbyshop & more. Frontier Spinning Mills is one of the largest producers of spun yarns for the knitting and weaving industries in the world. If you need professional photographers for weddings, yearbooks, school photos, events, contact us for pricing and availability. We serve many locations in the US. A reputable company founded in 1880, Glen Raven Inc. is known for manufacturing custom and technical fabrics. It serves distribution, automotive, filtration, furniture, industrial logistics, marine, media, military, protective, shade, and window covering industries. The company is based in North Carolina with satellite offices in Europe and China. It also has a manufacturing facility in Anderson, South Carolina and regional distribution centers in the United States, Mexico, and Canada. Ken Wilson Ford is your source for new Fords and used cars in Canton, NC. Browse our full inventory online and then come down for a test drive. Since 1928, Carolina Container has been a customer-focused manufacturer of quality corrugated products and now they are taking their production, product value, and customer service to the next level with unparalleled innovations in the packaging industry. Carolina Container is changing the perceptions of not only how a "box company" does business, but of manufacturing itself. Biltmore is a private estate and tourist attraction located in Asheville, North Carolina. It features a Chateauesque-style mansion built between 1889 and 1895 and the largest privately owned house in the United States. Aside from its breathtaking historical architecture, Biltmore is also known as a perfect destination for shopping, dining, and recreational activities. Brigs Restaurants have been serving a vast array of breakfast creations, salads, and hot sandwich platters for breakfast, brunch, lunch and dinner since 1988. Dillon Road, a gospel-centered church for all people-all ethnicities, cultures, abilities, and generations. Great Deals on Top Quality Outdoor Gear. WE ARE PLEASED TO ANNOUNCE RAWPORTER HAS ENTERED INTO AN EXCLUSIVE BUSINESS PARTNERSHIP AND WILL BE JOINING A LARGER ORGANIZATION. We are a supplier of fine leathers and leather products. We provide tanned hides to the furniture and automobile industry for upholstery. We are also a wholesale provider of leather apparel and leather goods. Bob King Automall is the premier new and used Buick GMC dealer serving the people of Wilmington and Jacksonville, NC areas. Aside from a great inventory of new and used vehicles, the company also offers quality solutions to all types of vehicle maintenance needs. It has certified service trained technicians that are always ready to provide clients with efficient and reliable services. Bob King even assists customers with their financing concerns. Midas Fabric is your local source for designer fabrics, custom window treatments, and reupholstery in Raleigh, Durham, Cornelius, Lake Norman, Charlotte, Pineville and Matthews. Cataloochee Ski Area is a ski area in the eastern United States in southwestern North Carolina, near Maggie Valley. With eighteen ski slopes and trails, approximately 44% are rated beginner, 39% intermediate, and 17% advanced. Its top elevation is 5,400 feet (1,646 m) above sea level, yielding a vertical drop of 740 feet (226 m). The slopes are accessed by three chairlifts and two carpet lifts. Adele Knits is a high quality knitted fabric producer of polyester and nylon, high stretch fabrics used in the rubber, foam, automotive, vinyl, swimwear, performance, cleanroom and lint free paintshop industries. US manufacturer of technical fiber materials delivering excellence in every product, every process, every time through customer-focused collaboration.